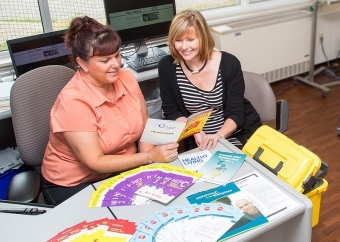 Niagara Health’s Hepatitis C Care Clinic and community partners are hosting a World Hepatitis Day educational event on Friday, July 28 at Montebello Park in St. Catharines. At the event, a Registered Nurse and Nurse Practitioner from Niagara Health’s Hepatitis C Care Clinic and Registered Nurse from Niagara Region Public Health will offer confidential hepatitis C testing and health teaching to those interested. The event runs Friday, July 28 from 11 a.m. to 3 p.m. The team provides Hepatitis C education, treatment, counselling and support. Learn more about the Hepatitis C Care Clinic here.